Mr. Bruder joined Mette Evans & Woodside after 20 years at Rhoads & Sinon, where he served as the Chair of its Environmental Practice Group. Paul previously served as an attorney with the Pennsylvania Department of Environmental Protection. Over the course of his career, Paul has established himself as a leader in the field of environmental, natural resource and energy law in Pennsylvania. In the area of environmental law, Paul focuses his practice in federal and state regulatory compliance, solid waste planning, sewage facilities planning, brownfield remediation and development, storage tank permitting and remediation, and water quality matters. He is also an acknowledged authority with respect to MS4 and NPDES permitting, sewage collection and treatment, nutrient reduction, Chesapeake Bay cleanup regulation, and nutrient credit trading. Land recycling/Act 2 projects in which Paul has been actively involved include the development of contaminated areas for residential use, commercial development, or re-use of abandoned industrial property. Paul also has significant experience representing underground storage tank owners or operators that may have claims to the Underground Storage Tank Indemnification Fund. His work in the natural resources area includes counseling clients in matters related to mining and natural gas leasing, exploration and drilling. Paul also works regularly with the Department of Environmental Protection and other governmental entities regarding water allocation and water quality issues. In addition, Paul counsels clients with respect to construction issues, lead paint and asbestos abatement, where such issues relate to employee safety or environmental protection. He also regularly handles all matters involving administrative law, including issues related to state-issued licenses or permits. Paul’s representative clients include not just private business, but also municipalities, land developers, the construction industry and the agricultural community. 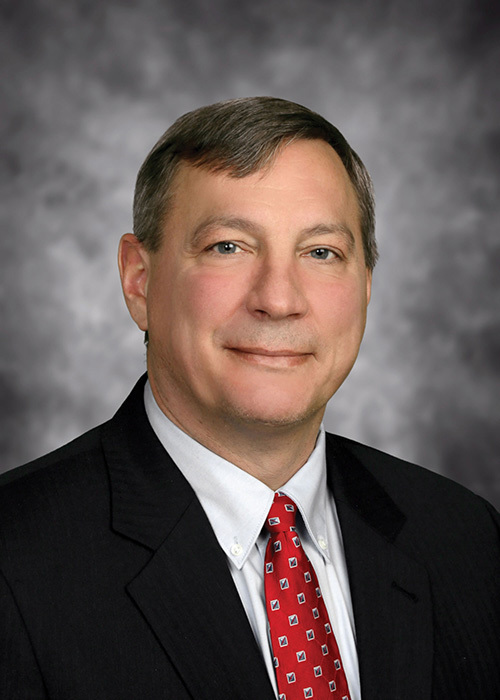 He has written and lectured extensively on environmental, natural resource and energy issues, and has represented clients in matters on all judicial levels, including litigation before the Environmental Hearing Board, Pennsylvania Administrative Hearing Boards, the Pennsylvania Commonwealth Court and other state appellate courts, and federal court in environmental and other matters. Outside the office, Paul’s interests include helping his fellow humans, as well as animals in the community. He serves on the Board of the Camp Hill Lion Foundation, which is dedicated to enhancing the quality of education. He assists with various animal rescue operations, including the Canine Rescue of Central PA and the Helen O. Krause Animal Foundation. A Camp Hill resident, Paul keeps busy following the sports and theater activities of his two daughters. PFAS chemicals, which historically had been used in products in the U.S., continue to show up in soil and water systems. Various bills are making their way through Congress and Pennsylvania is exploring the idea of setting state-wide health standards for the PFAS. It's that time of year again. As the weather turns colder and air conditioners give way to furnaces, homeowners call their heating oil providers and say "fill'er up." Well over 100,000 homeowners in Pennsylvania, approximately 15,000-17,000 in Dauphin County alone, heat their homes with oil, meaning that their basements are home to large (usually 150 gallons or more) heating oil tanks. Boyer, Veronica L. Edwards, Victoria P.